STI Vibration Monitoring Inc. is a ISO 9001 :2015 certified Company. Click on the documents below for review or printing. 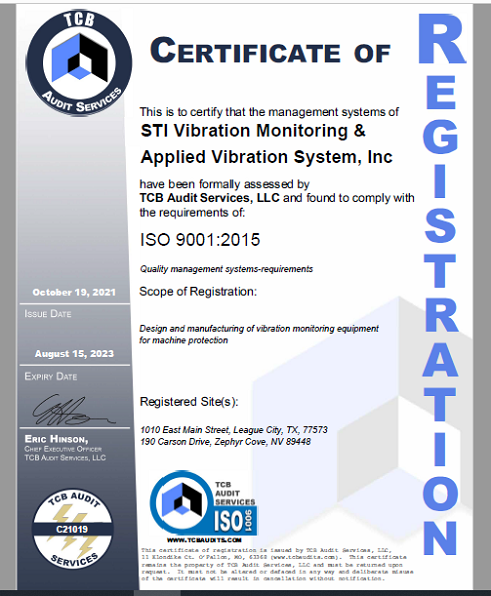 ISO 9001 :2015 Certificate for STI Vibration Monitoring Inc.